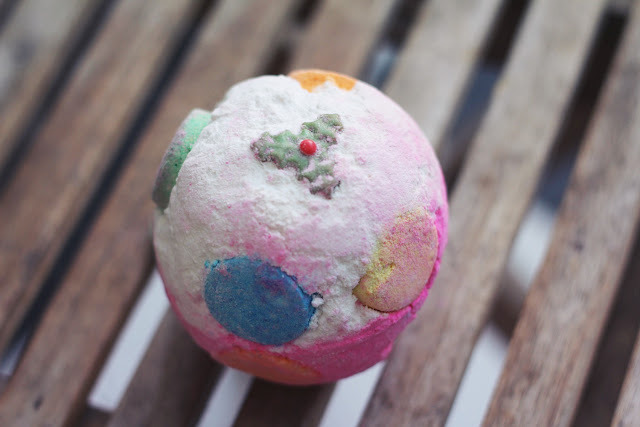 I haven't posted a bath bomb review for a while so I thought I'd get in while I can and try to review as many of the Lush Christmas limited editions while they're available! 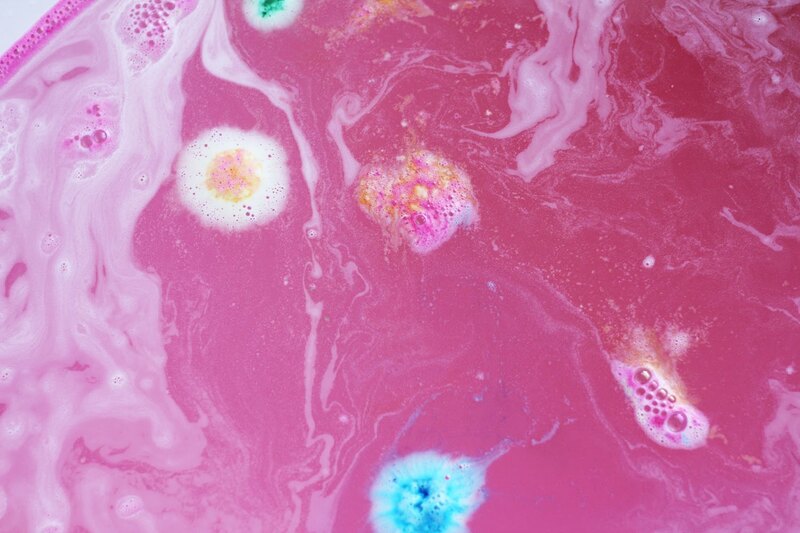 Luxury Lush Pud is one of the more popular Christmas bombs because it's not only a beautiful looking li'l thang, but it also shares the same scent as the always popular Twilight bomb (my review of which you can read here)- lavender, ylang ylang, and tonka absolute. I was saving this one for after a super busy week and tonight was the perfect opportunity, the Christmas retail madness has started and I've been run almost off my feet so I really needed to wind down! 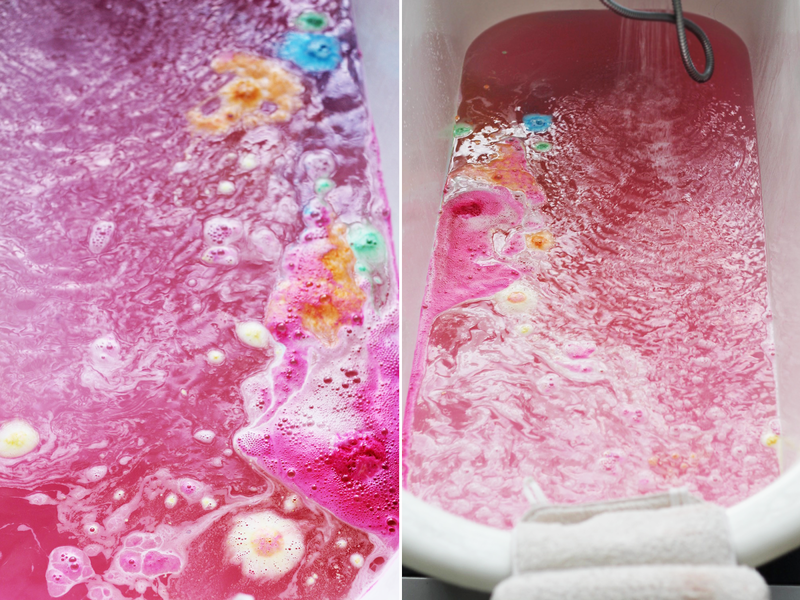 Lush Pud was an amazingly cozy smelling bath, but it had lots of really fun and uplifting colours whereas Twilight is much more pastel and muted in colour. I was feeling really wound up and stressed out before I had my Lush Pud bath and afterwards I felt SO much better - just sliding into the lavender water helped me relax! 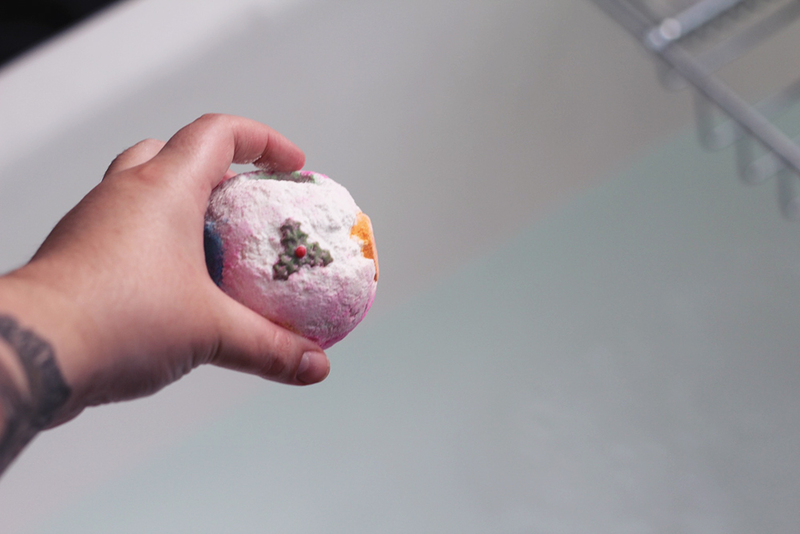 I find that bombs with lots of lavender in them help to ease any aches and pains as well, so that's a great added bonus. 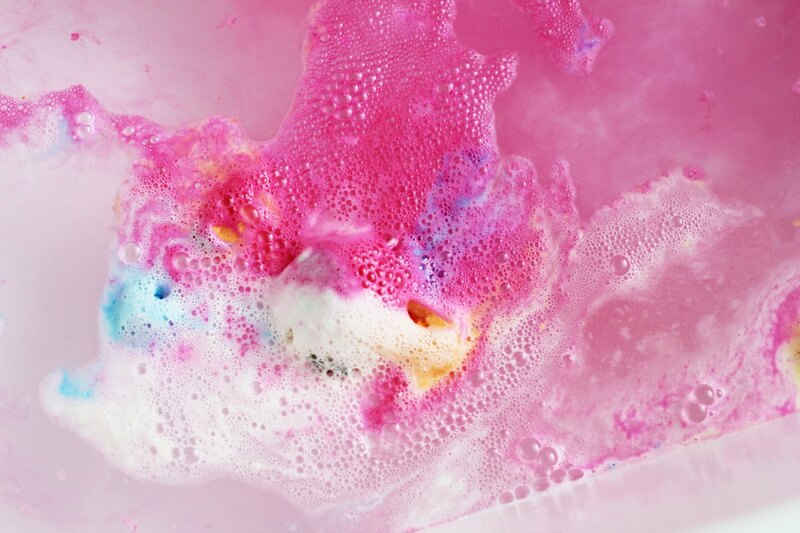 If you have the opportunity to pick up a Luxury Lush Pud, definitely take it! It's a very limited edition so you've gotta seize 'em while you can! Pud is $7.50 and is also available online.